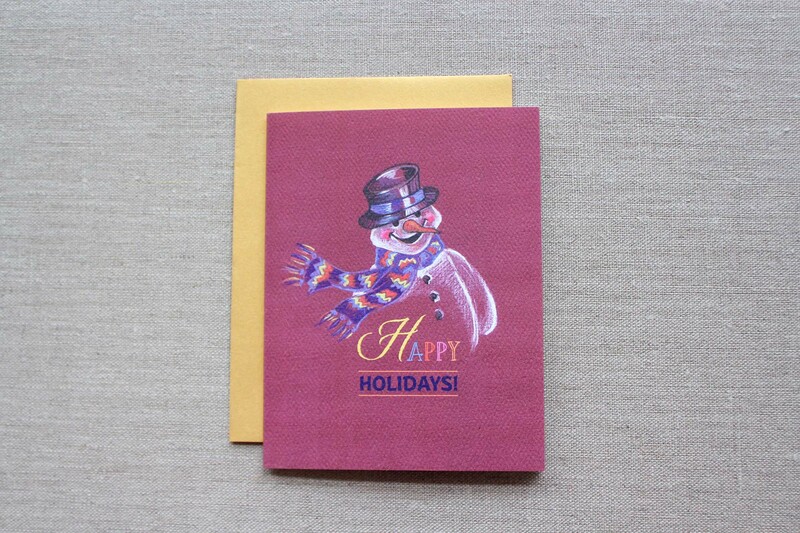 Snowman Holiday Cards: Digitally printed on folded A2 sized cards. Inside is left blank for you to write your own special message. 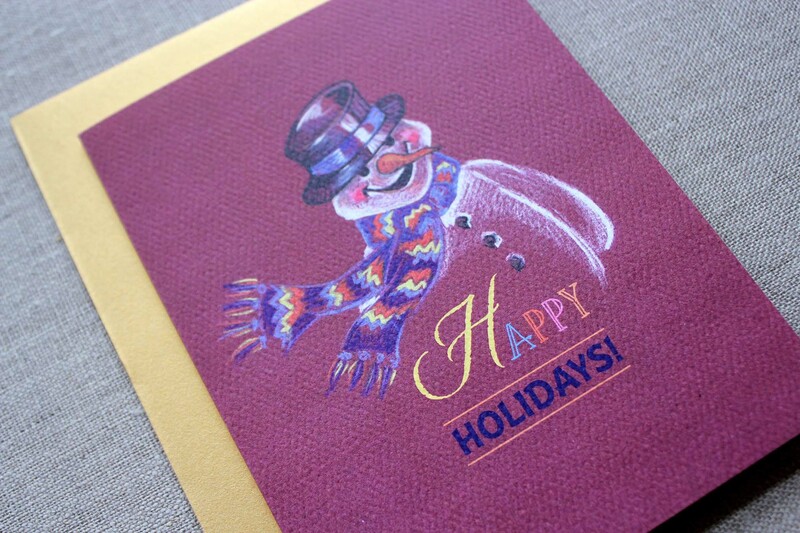 These cards feature a hand drawn colored pencil illustration in bright, fun, cheery colors! Set of 6 cards come with matching metallic gold envelopes.